David Harvell served as an Interim Environmental Services Director / Project Manager (GovTempsUSA) for the City of Fayetteville, North Carolina 2017-2018. During his time with the City of Fayetteville, the organization completed numerous capital improvement projects, revised the Environmental Services Department Comprehensive Plan, collaborated with the community on the development of a new waste diversion (recycling) master plan, partnered with multiple organizations to improve the overall fleet management and maintenance programs, restructured the organization which developed many synergies, completed the Automated Vehicle Location (AVL) technology project “Fleetmind” with a new Operations Center. These projects assisted in the efficient delivery of services and data collection, which provided the organization sufficient guidance to maintain the services within the organization and not outsourced. In addition to his service in the City of Fayetteville, David served as the City Manager / Assistant City Manager of three (3) North Carolina municipalities, City of Havelock, Atlantic Beach, and Swansboro. For six (6) years David worked for the City of Havelock as a Public Services Director / Project Manager. During his tenure many capital project were completed: water & wastewater plant expansion, new Fire Station and a City Hall. In addition Mr. Harvell restructured the Public Services Department and revamped the solid waste collection & storm-water programs. The changes resulted in significant improvements, in service delivery and cost reductions for the municipality . 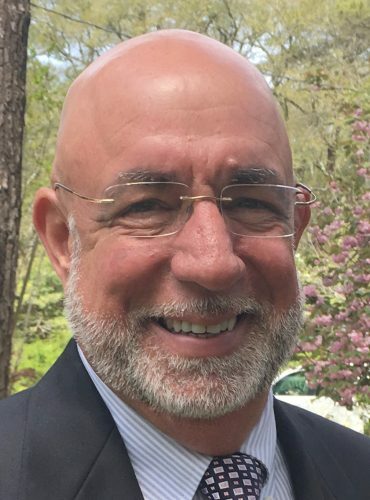 Mr. Harvell has over 20 years of broad based human resources experience in local government and private sector fields, and consulting environments. He is a graduate of Mid- Continent University with a Master of Science in Human Resource Management. David provides a diverse experience in process evaluation and implementation for Human Resource services for local government. He has been extensively involved in organizational compensation and benefits, franchise negotiations, fiscal budgets, operational staff development, organizational team building and strategic planning, vision & mission meeting facilitation. David also provides consulting, coaching and training services to assist organizations and individuals achieve workplace excellence. Mr. Harvell uses his extensive professional local government and business experience to offer guidance and solutions that improves the organizational culture with focus of effective and efficient delivery of services. Whether working with a public utilities team, public safety staff or elected officials, David helps identify and clarify the specific needs and then offers practical, sustainable plans for implementation. David has assisted many local governments through organizational and compensation changes. David is astute in identifying areas in need of improvement with the vision to develop and implement successful action plans. David spent five (5) years in the U.S. Air Force, holds a Master of Science in Human Resource Management and a Bachelor of Business Management from Mid-Continent University. In addition he was an International City Manager Association (ICMA) – Credentialed Manager. Mr. Harvell has presented at various training sessions and conferences including American Public Works Association, Solid Waste Association of North America (SWANA), North Carolina County City Manager Association, and various other entities related to municipal government. Interim Environmental Services Director / Project Manager 2017-2018 – City of Fayetteville, NC.